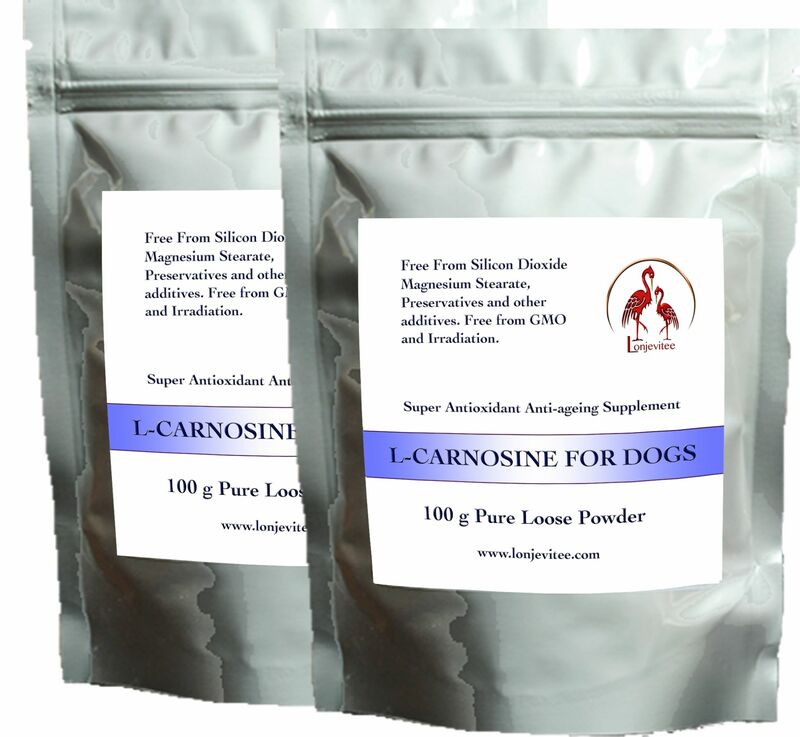 100% Pure Top Grade L-Carnosine with NO FILLERS OR ADDITIVES to maintain the health of your dog. 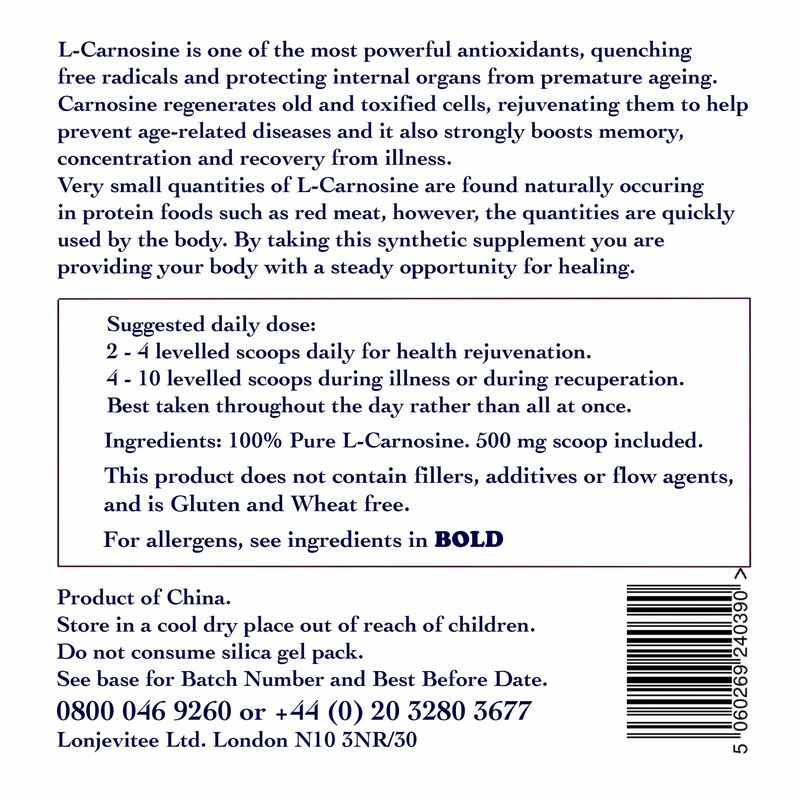 Works on a cellular level. Suitable for any dog, large or small. You can tell us at checkout if you would like one for your dog and one for yourself. BETTER THAN 10% OFF BULK SAVER. Free delivery will need to be signed for unless you specify otherwise at checkout.